Imagine using photography to change cultural stereo types of Native Americans in a society that currently glorifies the Native American as a tomahawk-wielding sports mascot, a feather clad underwear model, a provocative Halloween costume or a drunken advertising pun. 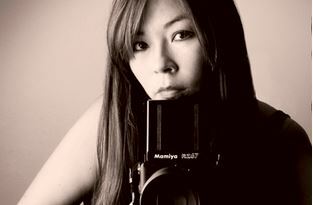 Matika Wilbur, a Tulalip and Swinomish native, developed Project 562 and is using her talent of photography to counteract these active and misconstrued perceptions. Wilbur’s portraits depict the contemporary Native American in a generic setting; the portraits are in black and white with little distraction to put emphasis on the Native American as person within the evolving U.S. culture. “Can we relearn to see as human beings? Does the photographic image impact our lives and the lives of those around us and if it does can we use that image to encourage and inspire one another?” queries Wilbur in a recent TedX talk. Currently in the fashion industry the Native American façade is being used in a sexual and/or irrelevant manner which debases the culture as it being attached to groups of people. There is a human disassociation that generates from these images; one that causes outsiders to view these people as objects rather than a culture. “My hope is that when the project is complete, it will serve to educate the nation and shift the collective consciousness toward recognizing our own indigenous communities,” Matika quoted in her project blog at matikawilbu.com. The end result will be a compilation of portraits of the contemporary Native American instead of “the leathered and feathered vanishing race” stereo type of Native American. For phase one of her project, Wilbur was able to raise $35,000 through Kickstarter to help fund her journey. This year’s goal, for phase two, that bar has been set higher at $54,000 to be raised by Feb 14th 2014. For information about Project 562 and to donate visit her kiskstarter.com page or Matikawilbur.com. Donators will receive rewards based on the amount they pledge. Rewards range from stickers and clothing labeled Project 562 to having the opportunity to spend time with photographer Matika Wilbur while she is on the road. Currently, Wilbur is on the road in Arizona traveling by car to each reservation. In the past year she has photographed 173 tribes with just under 400 left. On May 17th and 23rd of this year a collection of Wilbur’s works will be on display at the Tacoma Art Museum and she has stated she will be in attendance to the art showing. Wilbur has been taking photographs for over 10 years and some of her inspiration comes from photographers such as Phil Borges, Dorothea Lange and Coast Salish artists Shaun Peterson and Simon Charlie whose works she experienced through her mother’s La Conner art gallery. Project 562 is estimated to be a 3 year project with a deadline set for the end of 2015. Upon conclusion, the compilation or portraits will be viewable across the U.S. Wilbur looks forward to being able to come home and work within her tribal community when her project is complete. This entry was posted in Arts & Entertainment, News and tagged cultural stereotypes, Matika Wilbur, Native American photography, photography, Project 562, Tulalip, Tulalip/Swinomish by admin. Bookmark the permalink.